by Phyllis A. Balch, CNC and James F. Balch, MD. This book is my Bible. 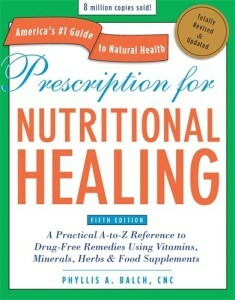 An excellent book for every home, it supplies information for natural treatments of everyday issues, like allergies and colds, to life threatening illnesses. It lists everything alphabetically from illnesses to herbs. In the Herb section it tells you what the chemical components in the plant are, and what they do in your body, as well as counter considerations. Each illness is addressed, and then natural ways of supporting the body and immune system are discussed. Highly recommended!!! 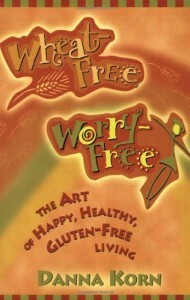 Giving you clear lists of safe foods, and unsafe foods, this is a great book to start with. This was my bible six years ago when I first set out on the GF road. Having been an undiagnosed dyslexic growing up, I left the school system feeling stupid and that feeling persisted well into my late 20’s. Due to this history, I normally avoid any of the “Dummies” books, because of refusing to literally “buy” into that title. However I loved the first book by Danna, and feel that this one is also excellent. I recommend it for anyone who’s children have been diagnosed with Autism. 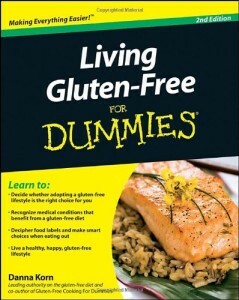 Covering the practical, medical, and emotional aspects of the lifestyle, Living Gluten-Free For Dummies, 2nd Edition offers hope and inspiration as you make the switch to a life free of gluten. This author found some of the same things I did in consuming wheat and other glutinous grains; she put on weight. I have told people since I was in High school, that just looking at a doughnut would put 5lbs. on me, where as my mother, who has celiac disease, was able to have intimate and repeated trysts with all manner of glutinous goodies (before she was diagnosed) and stayed rail thin. 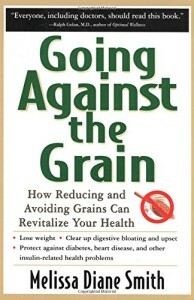 This book explores different aspects and reasons for grain abstinence. “Are you grain-free? Whether it’s due to allergy, weight loss, or doing the GAPS diet, grain-free eating isn’t easy. In fact, it can get pretty boring: lots of plain baked or grilled meats and steamed veggies. Who wants to eat boring, bland food forever? Especially on long-term, family diets (like GAPS), family members are likely to balk and “fall off the wagon” if they are expected to eat so much of the same all the time. But grain-free doesn’t have to be boring. In fact, grain-free can include all kinds of interesting flavors, spices, and even sauces. Grain-free can be delicious and exciting. It can even include breads and desserts! That’s how Against the Grain came to be: a cookbook full of grain-free (mostly dairy-free and GAPS-friendly) recipes that aren’t boring, but are delicious and fun to eat. Against the Grain is a 55-page guide to delicious grain-free eating. It contains 30 amazing recipes, including 6 “breads and desserts!” Yes, you can have dessert, even grain-free!